Rivers continue to be one of the better fishing options at this time. Flows, for the most part, are perfect, water temperatures are still good, and excellent hatches are occurring with regularity. Toss in a few terrestrials, and you have the fly-fisher’s dream — although, afternoon storms can quickly discolor the water. The Upper Colorado River is a great choice at this time. Flows are strong, so use caution wading. Anglers will find solid dry fly action; mayfly and caddis patterns are a good choice. Small stones and hoppers are also worth trying. Nymphing is a good option when there isn’t an obvious hatch. Small stones, prince nymphs, San Juan worms and pheasant tails have been productive. Leach patterns and small spinners will also produce in the deeper runs. Nearby Gore Creek offers anglers a small-stream experience, although it has been running a bit high and off color due to storms as of late. When clear, the dry fly action has been good with caddis and mayfly patterns. Use lighter tippet, as fishing pressure has the fish a tad spooky. The Eagle River has also been off-colored due to afternoon rain. Come evening, when it’s running clear, look for some excellent dry fly action with caddis patterns. On breezy afternoons, ant patterns are a great choice. Dillon Reservoir continues to produce well. Those looking to kick back with a cooler and fish with bait are seeing decent action in Frisco Bay with dough baits, such as PowerBait. Typically, early mornings are best. Evening anglers have been doing decent with a fly and bubble rig. Slowing down the retrieve (no visible wake) will often produce best. Pike fishers are doing well right now at Williams Fork Reservoir. The only issue has been size, with most fish running less than 30 inches. Working the deeper edges will often produce a larger fish, and keep moving. Nearby Sylvan Lake has been seeing damselflies coming off in force. These makes for exciting fishing with large dry flies. Don’t hesitate to fish smaller nymphs if the damsels fail to produce. Consider calibaetis, pheasant tails and soft hackles. Those looking for lake trout might consider Mount Elbert Forebay. Using sucker-tipped jigs vertically jigged in 10 to 30 feet of water has been producing good action. While fish can be taken all day, the evening action has been the best. Dave Coulson is the Colorado state editor for http://www.fishexplorer.com. 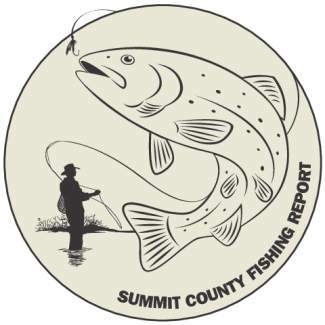 He contributes a weekly fishing report to the Summit Daily.